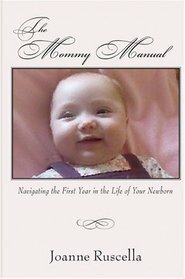 First published in 2004 by Publish America, The Mommy Manual has become a cornerstone resource for countless new mothers. The second edition of the book is due out in summer 2013 and will include updated stories and advice, the latest research and advice experts around the world, and extensive resources to create the easiest first year possible for new mothers. We appreciate the support for the first book and are looking forward to the updated edition! If you’d like to keep in touch on release details, why not join other mothers in our community on Facebook. The Mommy Manual is a practical guide for first-time mothers who may be overwhelmed by the prospect of caring for their newborn child. It is meant to be used as a guide for those things that just don’t come naturally, as well as some of the more obvious questions. 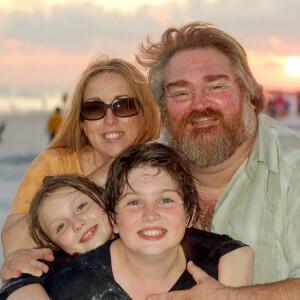 The chapters are humorous in nature, such as “What The Heck is a Onesie?”, as well as addressing some of the more serious aspects of caring for a child – such as “Trusting Your Instincts.” It talks about everything from car seats and diapers to educational toys and television watching. The Mommy Manual is a must have for any first-time mother when she arrives home with her infant child. In light of the wealth of new online and offline resources for new mothers, the first edition of The Mommy Manual is no longer in print (though you can visit the Amazon page for used copies and such). The second edition will be widely available through the Kindle store, Barnes and Noble, and online retailers in summer 2013. Joanne Ruscella, author of The Mommy Manual, believes that every new mother should have access to accurate and easy to understand information so their infant has the best start in life possible. To further this belief, the author has given talks for new mothers at Rutgers University, and donates copies of the book to charities that distribute the book to low income mothers who might not already have the tools, knowledge or support system to easily navigate their infant’s first year. If you’d like to discuss opportunities to work with Joanne Ruscella’s charity efforts, please get in touch!